Nigel Farage this week complained directly to Lord Hall, the director general of the BBC, about the news reports which contained the wrongful claim that he had ‘blood on his hands’ for the death last August of a Polish man, who the corporation also sensationally and wrongfully alleged had been murdered in a frenzied, unprovoked attack by a gang of youths fired by race hate following the EU Referendum. It has emerged in court that almost every element of these initial reports were untrue: that the crime in Harlow, Essex, was nothing whatsoever to do with Brexit or race hate on behalf of English people. The sordid truth is that Arkadiusz Jozwik, the Polish man, drunkenly provoked a single 15-year-old youth into punching him, with the result that he fell over and cracked his head, causing the fatal injuries. It was manslaughter, for which Chelmsford Crown Court gave the youth three years in custody. Mr Farage took the trouble of personally delivering to Broadcasting House in London the complaint letter, which set out in detail why the BBC’s reporting of the death of Mr Jozwik was seriously in breach of the BBC Charter and editorial standards. The essence of this is set out in articles on TCW and News-watch here, and here. The former UKIP leader outlined in addition that, after the reports appeared – and, he believed, as a direct result of them – he and his family had faced enormous personal distress. They were subjected to vile name-calling and abuse to the point of needing protection. How has the BBC responded? Normal decency and courtesy would surely dictate that allegations of this gravity from a figure of the stature of Mr Farage should at least be met with a personal meeting and some kind of detailed response, even if – as is virtually inevitable with complaints submitted to the BBC – any wrongdoing is ruled out. So far, however, this appears not to be on the cards. 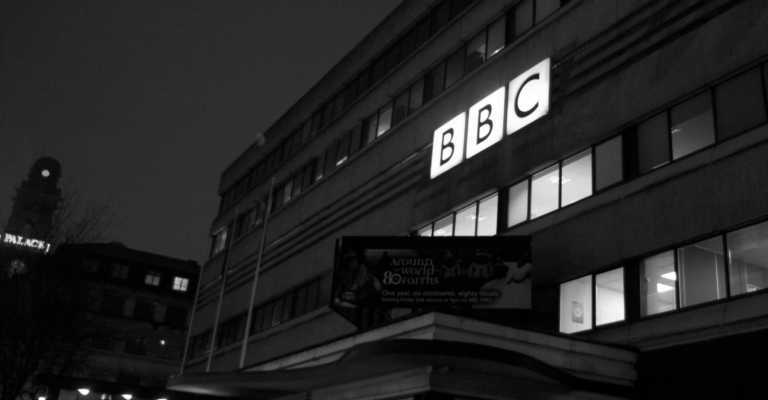 Instead, the Corporation hastily issued through its press office a terse statement which said that the BBC ‘vehemently defended’ its reporting, that its coverage of the Harlow killing was ‘fair’ and was in line with speculation also carried elsewhere that ‘racial motivation’ was a ‘line of enquiry’. In other words, a dead bat. How did they know? This is one of the perpetual mysteries of the BBC news operation. Senior staff claim that they know they are meeting editorial standards but this is entirely according to their own rules, their own definition of ‘due impartiality’, and is determined internally. A key part of Mr Farage’s complaint not dealt with by the statement was that when the true facts of the Jozwik killing emerged, they were reported at a much lesser level (primarily on the Essex pages of the BBC’s regional website) and without sufficient acknowledgment that the race-hate angle (imposed sensationally on the story by them) had been discounted. The original reports, by comparison, had been blasted at headline level on their most-watched BBC1 bulletins and BBC2 Newsnight. It also seems that the press office statement is attempting to justify the sensationalism of the original reports by claiming that other media outlets adopted a similar tack. But this hook-wriggling will not do. First it is the BBC’s responsibility (as with every journalistic organisation), to check the facts it reports around a suspected criminal incident, because there is a legal duty to ensure that a subsequent trial is not prejudiced by inaccurate or exaggerated reporting. It is categorically not a defence to say (as is implied in the Corporation’s response) that the BBC is in the clear because others reported in the same vein. The BBC receives large amounts of public cash to fund a lavish journalistic operation, has vast capacity to check facts, and has special and deliberately onerous public service requirements to uphold accuracy and impartiality. Second, other reporting of the Jozwik killing did not contain a direct allegation that this was a ‘race-hate murder triggered by the Brexit vote’ or that Mr Farage had ‘blood on his hands’. It was the BBC which especially elevated the crime to that level. For example, The Guardian’s report of the death of Mr Jozwik published the evening before the BBC’s report (at 20:28 on August 30) underlines the irresponsibility of the BBC’s reporting. It was more circumspect. The headline was ‘Six teenage boys arrested over death of Polish man’. The Guardian, of course, is a deliberately partisan newspaper which does not have the same stringent public service requirements for accuracy and responsible reporting that govern the BBC. All things taken into account, Nigel Farage surely deserves a detailed inquiry and a personal explanation from Lord Hall why the claim that he had ‘blood on his hands’ was included prominently in a BBC report. And of why a BBC correction to this grossly speculative reporting has not been conveyed at a level equal to the original reports. Former BBC news producer, BBC PR executive and head of corporate relations for TV-am. Director of News-watch.